Chicago is a gorgeous city with great history and some of the country’s best architecture to explore — and best of all, there are lots of attractions your family can see for free. Here are 5 family-friendly things you can do in Chicago that will give you priceless memories and leave you with a full wallet. Just north of downtown is the Lincoln Park Zoo. Opened in 1868, it’s the oldest zoo in the United States, and the only one where you can get a little wild with a great view of the Chicago skyline. Special exhibits include the Pritzker Family’s Children’s Zoo, a kid-friendly home to many North American animal species. Get to know beavers, black bears and Blanding’s turtles, then go for a climb in the Treetop Canopy Climbing Adventure. At the Farm-in-the-Zoo, you can pet goats, feed cows, stroll through vegetable gardens and even watch a cow being milked. 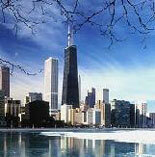 Chicago has a long and storied history, which you can learn all about at the Chicago History Museum. Create and test your own Chicago-style bridges, play with a hands-on model of the John Hancock building to learn about the city’s skyscrapers, and visit the Sensing Chicago gallery to ride a high-wheeled bicycle down a wood-paved street or hear the Great Chicago Fire. Admission is free each Monday, and grants you entry to an interactive and fun way to explore Chicago’s past, present, and ideas for the future. The Garfield Park Conservatory, one of the largest conservatories in the United States, is often referred to as “landscape art under glass.” From the stunning Fern Room, giving visitors a glimpse of what Illinois might have looked like millions of years ago, to the Children’s Garden where kids are encouraged to touch, dig, and explore the plant life, there are uncountable natural wonders to discover. Special programming and activities for families take place year-round. Jane Addams founded the Hull House as a settlement house in 1889, providing a place where immigrants could acquire the tools necessary to put down roots and get established in their new country. Investigate what it was like to be a child in the 19th Ward of Chicago, experience a day in the life of a Polish immigrant, and learn more about Jane Addams, the first woman to win a Nobel Peace Prize at the Hull House Museum. The museum offers guided tours at no charge. Millennium Park is Chicago’s front yard. Take pictures under Cloud Gate, more commonly referred to as “The Bean,” splash in the Crown Fountain, and listen to musical performances on the Great Lawn, all with an outstanding view of Lake Michigan to the east and the Michigan Avenue Wall to the west. Lurie Garden is a 5 acre garden sanctuary within the park, which offers hands-on family workshops and guided tours. For more information as well as tickets and tours to other Chicago attractions, visit https://www.trustedtours.com/store/chicago.aspx.